Not unlike human nails, your dog’s nails also grow continuously. How to properly cut your dog’s nails will depend upon the breed of dog, how active a lifestyle your dog is leading and its age. Most dogs will usually wear down their nails as you walk them and as they chase that all elusive ball, particularly if the walk you take comprises a stroll across hard surfaces. However, if you have a sedentary dog, they might not wear down their nails as short as necessary. In the same way, older dogs will frequently seek out the softer ground under their feet and will prefer not to tread on hard surfaces, meaning nails will not naturally wear down. 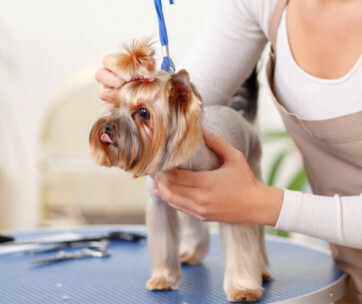 Consequently, it is vital to properly cut your dog’s nails and keep them trimmed to the precise length. If your dog’s nails get too long, it can cause undue pain and adds additional pressure on their paws. This eventually puts a strain on your dog’s legs and overly long nails can split leading to infection. When your dog’s nails are growing too long, you will most likely be able to hear them scrape against hard surfaces. This is when you know that it’s time for a trim. Determining whether or not your dog’s nails are too long is a fairly easy process. A dog’s nails should not overhang their pads and must not hit the ground when your dog is standing upright. It is possible to cut your dog’s nails from home with ease. This is mostly easy if your dog has visible nails where you can see the ‘quick’ of the nail. Identifying the quick is simple, but it is important to do so correctly as it relates to the blood vessels and nerves which support the nail. Understanding the structure of the nail will help you to trim just right before you enter that significant area. The overall recommendation is to cut less than an inch away from the quick. 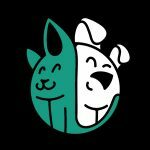 If your dog has black nails however, this can make it more difficult to judge, making nail trimming more problematic. 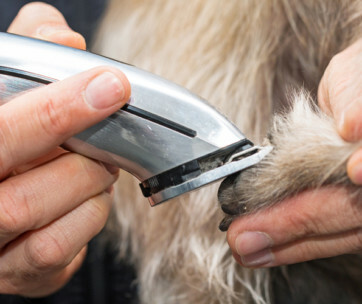 You may wish in these cases to try filing down your dog’s nails or instead go to a dog groomer who will trim them on your behalf. Buy a specifically made tool for the job of cutting your dog’s nails. Numerous styles of nail trimmer are on offer to help you to Properly Cut Your Dog’s Nails. Guillotine nail clippers are frequently used as the easiest to work with and they are especially good for small breeds. You can also purchase Plier dog nail clippers which have a scissor type action more suited to larger breeds. Choose gadgets with sharp stainless steel blades and a relaxed handle with sufficient grip. Every clipper will differ as to how they must be used. Thoughtfully read the instructions for the clipper you have got before you begin. As soon as you cut the nail you should be decisive and make an even cut while holding the cutter sturdily. The nails on a dog’s back feet are frequently shorter and need less regular trimming than those on their front feet. Importantly, do not overlook your dog’s dew claws which are found on the inner leg. These do not touch the ground which means that they do not wear down naturally like most other nails. Once you have trimmed with your nail cutters, you can file the nail even or just let the rough edges of the nail smooth themselves away over a period of walking. Attempt to shine a bright light towards the foot as you work to give you improved visibility. Look underneath the nail before you cut as this is where the quick is often more noticeable. Cleansing the nail prior to cutting can make the quick easier to spot and similarly makes nails easier to trim. It is acceptable to apply baby oil to the nails which will also make the nails soft without harming your dog. Do not panic if you unintentionally cut the nail too short making it bleed, simply press tissue tightly to the paw to stop the bleeding. 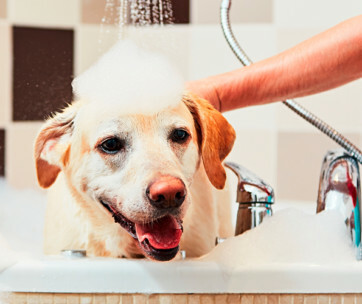 Any bleeding will stop within a few minutes and should be relatively painless for your dog. 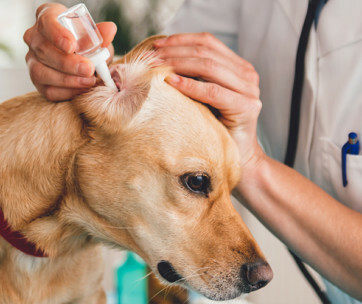 Your dog will most likely want to lick any wound, but prevention is key here, as this will slow the healing process and lead to a cut bleeding for longer. The longer your dog’s nail is then longer the quick. Where you have allowed your dog’s nails to get a little longer, it is worth cutting them a little at a time since the quick will also be very long. Take your time to cut a little from each nail and then hold back a few days for the quick to withdraw before cutting once more. When you have the nails at a workable length then cut as required. The majority of dogs do not like having their nails clipped. So, it is a good idea to allow your dog to start having their nails trimmed at as young an age as possible. Keeping a dog’s nails neat is important as it impacts on their overall quality of life. 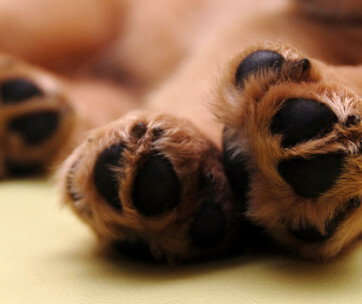 Timetable it into your diary to maintain your dog’s paws if you are likely to be unable to remember to do it yourself. Make regular foot inspections a part of the customary health checks of your dog. It is so important, as in addition to the pain that long nails can cause, your dog may well get infections, cracked or ingrown nails impacting on their daily health. 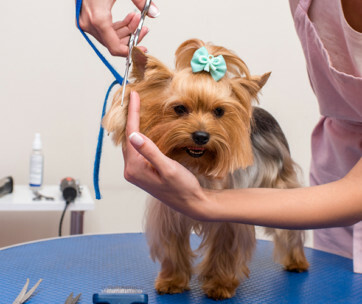 With a small amount of care, effort and know-how, understanding how to Properly Cut Your Dog’s Nails can keep your dog’s feet happy and healthy.